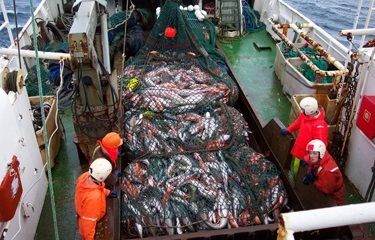 Capture fishery production is projected to increase by just one percent through the year 2025, due to the fact that most of the world’s marine capture fisheries are fully fished and therefore have no potential for increasing production, according to the Food and Agriculture Organization of the United Nations. The total volume of production from wild-catch fisheries is expected to reach 94 million tons in 2025, up from approximately 93 million tons averaged between 2013 and 2015, according to the FAO report, "The State of World Fisheries and Aquaculture, 2016." The primary reason for the stagnation in production is that fact that most stocks are fully exploited. “The 10 most productive species accounted for about 27 percent of the world’s marine capture fisheries production in 2013. Most of their stocks are fully fished and, therefore, have no potential for increases in production, while some stocks are overfished and increases in their production may be possible only after their successful restoration,” the report said.